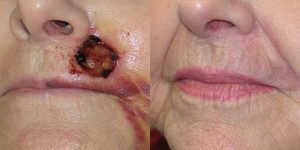 Patient diagnosed with recurrent Basal cell carcinoma of right lower lip. Mohs excision performed by primary dermatologist. 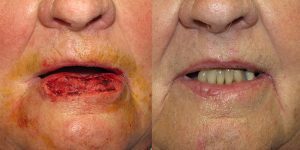 Lip reconstruction performed by Dr. Simon Madorsky at SCARS Center. Patient diagnosed with Basal cell carcinoma of the left upper lip, basal cell carcinoma of the right upper lip. Mohs excision performed by primary dermatologist. 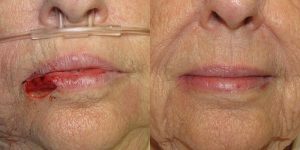 Lip reconstruction performed by Dr. Simon Madorsky at SCARS Center. 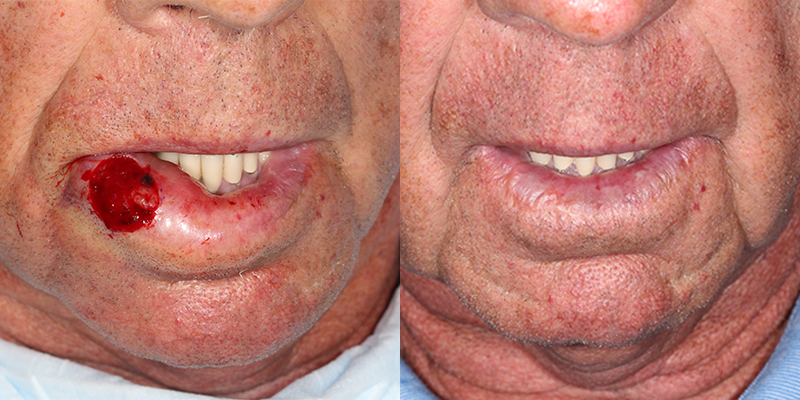 Patient diagnosed with Squamous cell carcinoma of right lower lip. Mohs excision performed by Dr. Gregory Bartlow at SCARS Center. Lip Reconstruction performed by Dr. Simon Madorsky at SCARS Center. 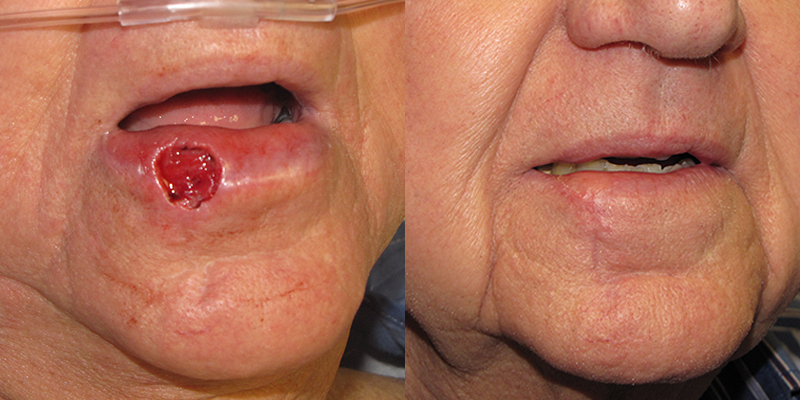 Patient diagnosed with superficial basal cell carcinoma of the right lower cutaneous lip. 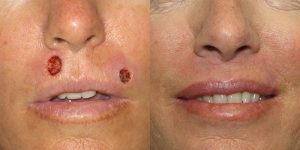 Mohs performed by Dr. Michelle Aszterbaum at SCARS Center. 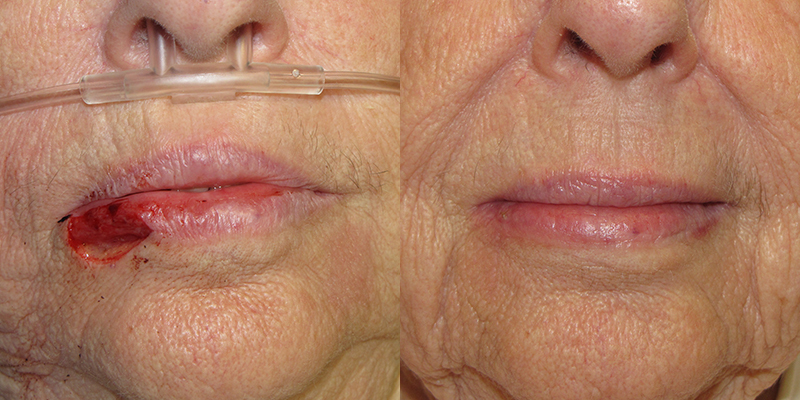 Lip Reconstruction performed by Dr. Simon Madorsky at SCARS Center.